CORVALLIS, Ore. – Researchers at Oregon State University have found that a chemical mechanism first described more than two centuries ago holds the potential to revolutionize energy storage for high-power applications like vehicles or electrical grids. 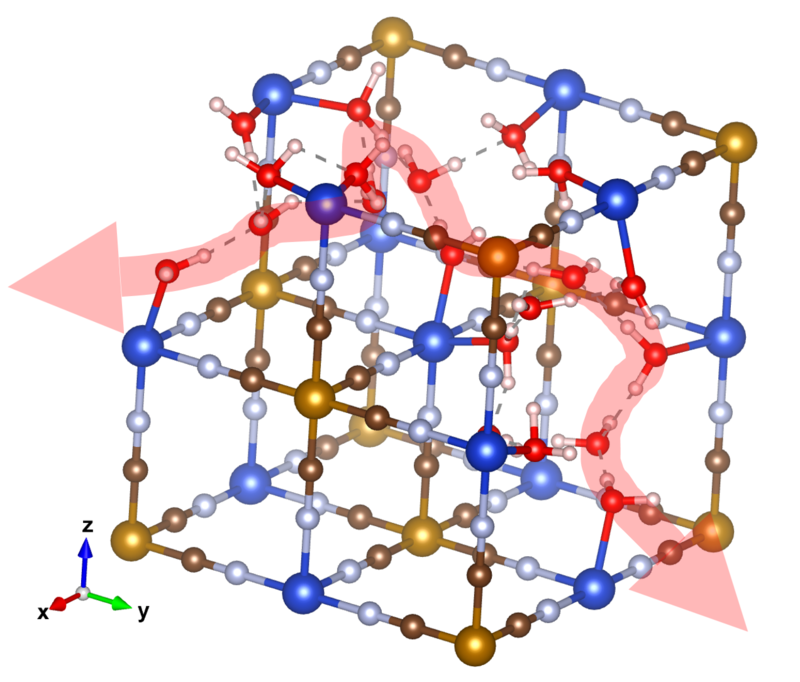 The research team led by Xiulei (David) Ji of OSU’s College of Science, along with collaborators at the Argonne National Laboratory, the University of California, Riverside, and the Oak Ridge National Laboratory, are the first to demonstrate that diffusion may not be necessary to transport ionic charges inside a hydrated solid-state structure of a battery electrode. “This discovery potentially will shift the whole paradigm of high-power electrochemical energy storage with new design principles for electrodes,” said Xianyong Wu, a postdoctoral scholar at OSU and the first author of the article. Findings were published today in Nature Energy. The collaborative team, however, looked up – to the single proton of hydrogen – and they also looked back in time, to Theodor von Grotthuss, a German-born Lithuanian chemist who in 1806 penned the theory on charge transport in electrolytes. Von Grotthuss was just 20, and living in a region beset with political upheaval, when he published “Memoir on the decomposition of water and of the bodies that it holds in solution by means of galvanic electricity” in a French scientific journal. Here’s how it works: Electrical charge is conducted when a hydrogen atom bridging two water molecules “switches its allegiance” from one molecule to the other, Wu explains. The molecular relay race is the essence of a fantastically efficient charge conduit, he said. In their experiment, Ji, Wu and their collaborators revealed the extremely high power performance of an electrode of a Prussian blue analog, Turnbull’s blue – known by the dye industry. The unique contiguous lattice water network inside the electrode’s lattice demonstrates the “grandeur” promised by the Grotthuss mechanism. While very excited about their findings, Ji cautions that there’s still work to be done to attain ultrafast charge and discharge in batteries that are practical for transportation or grid energy storage.